Sparta, NJ-based Laddey, Clark & Ryan, LLP (LCR) is a dynamic northern New Jersey law firm dedicated to the well-being and best interests of all of our clients. Founded in 1989, LCR’s attorneys have a combined experience of over 100 years of practice, many of which have been listed consistently as New Jersey Super Lawyers and Rising Stars in their practice areas. Working with LCR on their full redesign and digital branding rollout was such a rewarding experience for Fake Plastic Websites. 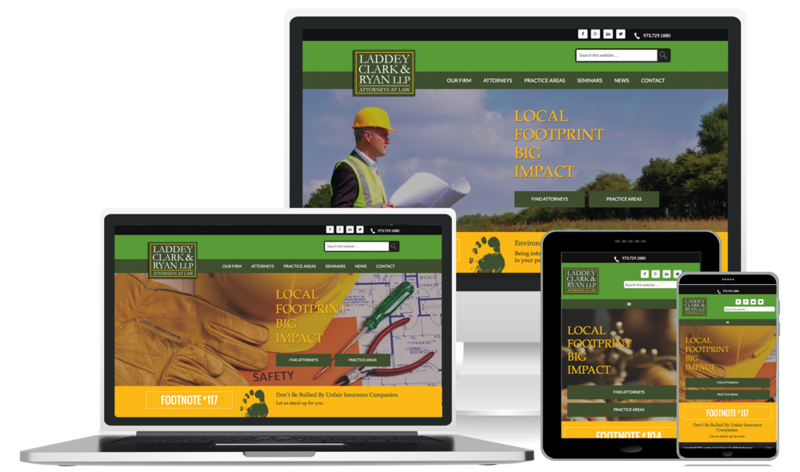 Working with their marketing team at 8fold, LLC, we created a superior online experience to showcase the firm’s new branding and created clear ways for clients to utilize LCR’s legal services. The site has been performing well for the company since publication earlier this year and we are looking forward to increasing their digital offerings moving forward.